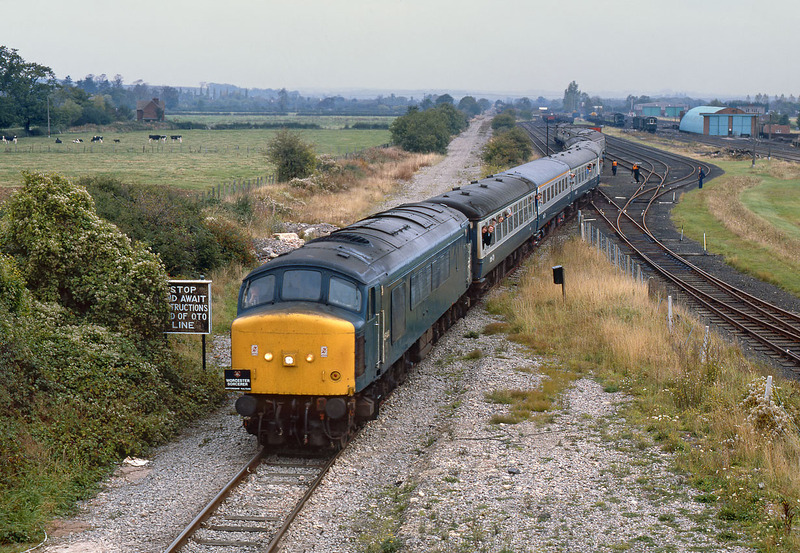 45144 leaves the Army Depot at Long Marston on 18 October 1986 with the Hertfordshire Railtours 1Z26 07:53 St. Pancras to Glascoed 'Worcester Sorcerer' railtour. A seemingly minor derailment in Malago Vale Carriage Sidings, Bristol the following year was enough to see this loco withdrawn from traffic. It was cut up at Vic Berry's, Leicester in 1988.